The combined edger/resaw unit allows the further processing of side and main products with a single machine. This approach saves costs, decreases mechanization effort, and increases the efficiency of existing manpower. 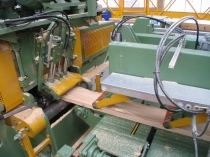 The separate feeding of the side and main timber with an appropriate buffer capacity allows the processing of the timber with only one operator. 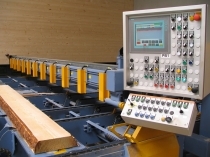 The measuring of the timber is made in transversal passage by laser sensors from above, optionally from below. The measuring grid is 500 mm, optionally 250 mm. In combination with our „LM-Optim“ optimization software, you will get the maximum possible yield. The wane-based alignment allows an extremely flexible and value-optimized cutting of the cant by 6 separately adjustable saws and at cutting heights from 40 to 200 mm. 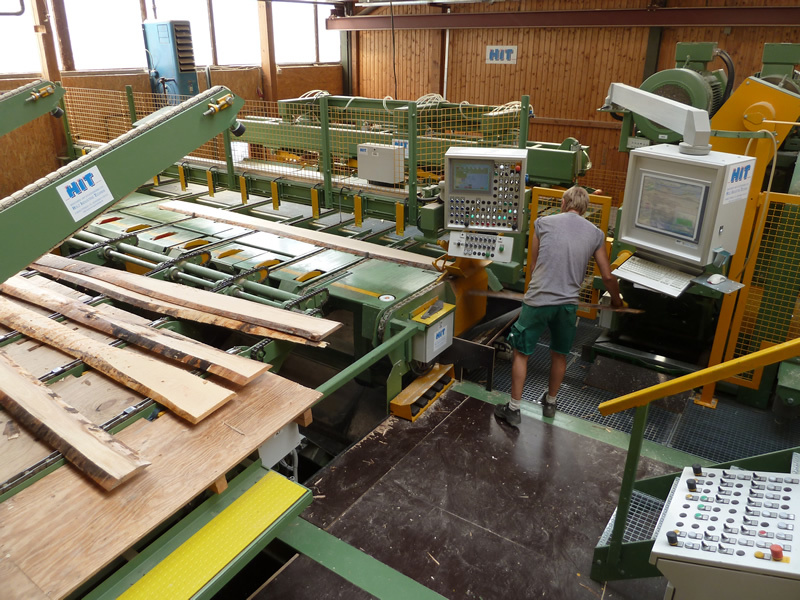 6 adjustable sawing axes allow the variable sawing of up to 5 (main) products. By appropriately equipping the fixed chucks it is possible to produce side boards/timber in addition to the main product. The fixed chucks can be fitted depending on actual requirements; the useful length is limited to 115 mm. The opening width of the splitting wedge is 48 – 800 mm. With an optional centering unit upstream of the saw, the guiding of already sharp-edged goods can be optimized for recutting by means of vertical feed rollers. Our scope of supply includes the complete materials handling technology required for the continuous feeding of cants and side products and also the further transportation of the timber. The saw feeder can be controlled via a joystick. Our optimized operating concept for the control of the feed system to the saw and the saw itself from within the operator station using a joystick greatly relieves your staff.